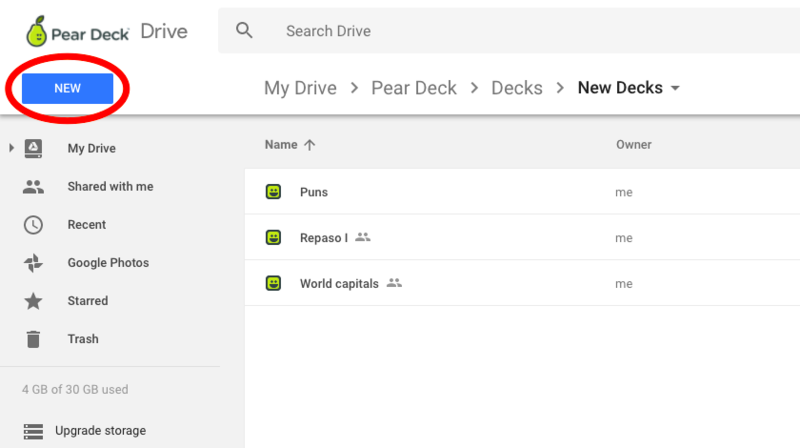 Since Pear Deck files live in your Google Drive, you can create folders right in Drive to store and organize your Pear Deck Files. Then, you can then move files into that folder. 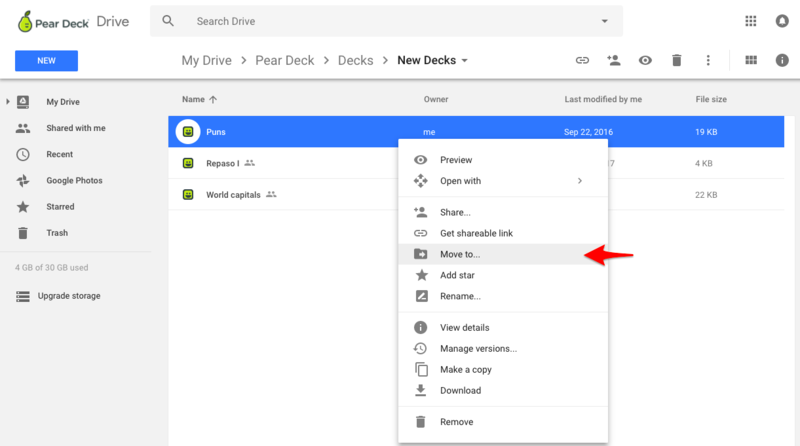 Drag and drop a file into your folder, or right-click the file and select "Move to..."